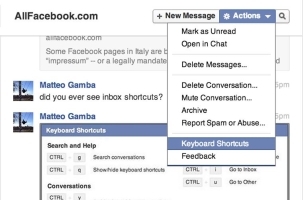 Facebook added a list of keyboard shortcuts to the inbox where users retrieve their messages. 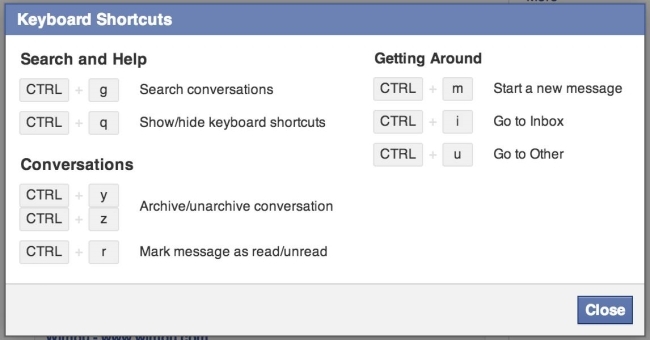 Users who click the actions menu in their inboxes are shown the list of keyboard shortcuts pictured above. Readers: Do you have access to these keyboard shortcuts? Screenshots courtesy of Matteo Gamba.